Nestled away on the southern edge of the Harz mountains lies the small town of Stolberg, in which non-timber-framed houses are rather hard to find. 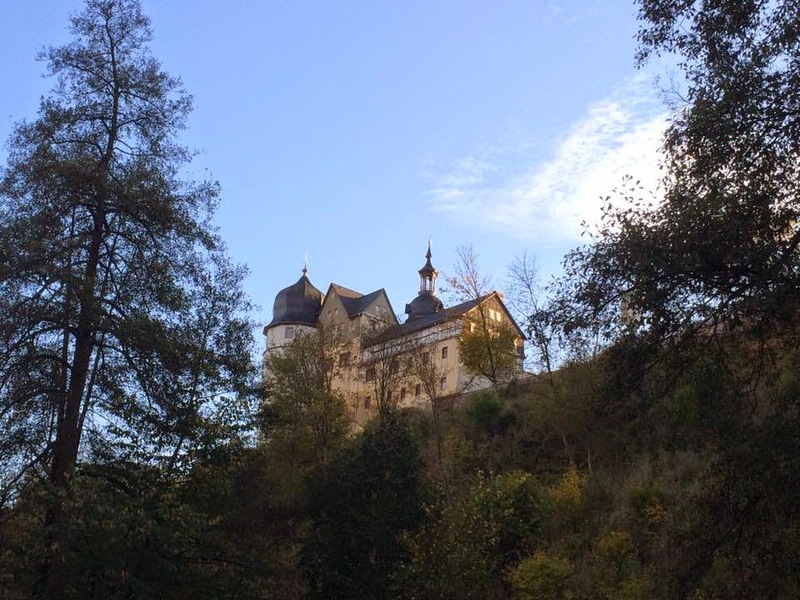 Apart from around 400 of them, there also is a castle by the town's name, Schloss Stolberg, which has had a changing history, particularly throughout the last one hundred years or so. Stolberg was established as a settlement for miners in around AD 1000 and awarded town status prior to the year 1300. The origins of the castle, which stands above the town on a hill with steep drops on three sides, also dates back to the 13th century. From its very beginning, the town had been the residence of the Counts of Stolberg. 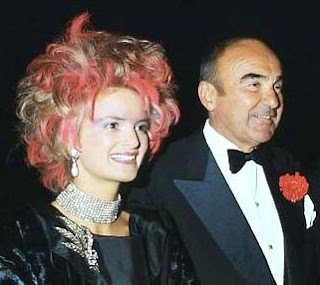 The family remained the owners of the castle for more than 700 years until they were dispossessed by the Soviets in 1945 (like basically all other royal and noble families in what later became the German Democratic Republic). 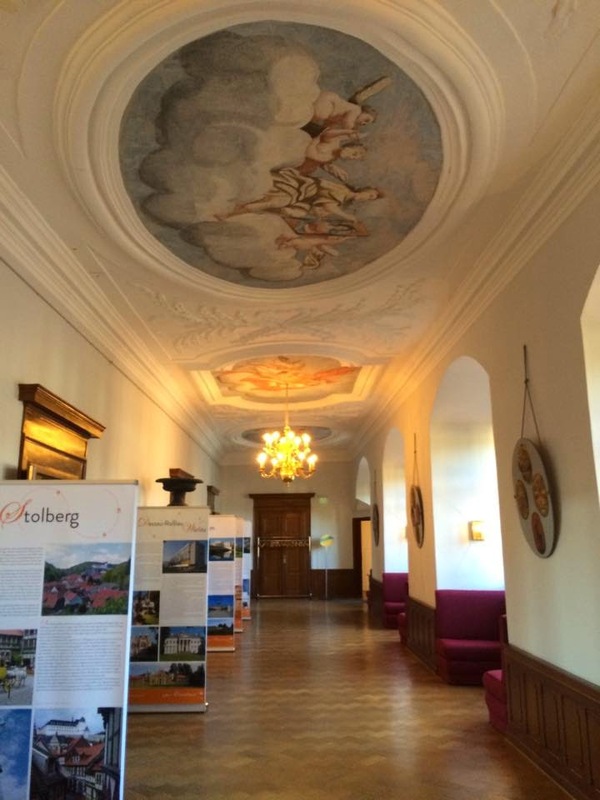 These days Schloss Stolberg is owned by the German Foundation for Monument Protection, a private initiative that works to preserve cultural heritage in Germany. The castle's oldest part, the round tower, dates back to the time around 1200, while many of the newer Renaissance-style parts were added between 1539 and 1547 according to plans of Andreas Günther. By that time, the Stolberg family's probably most famous scion had already left the small town in the Harz mountains. Juliana of Stolberg, mother of Willem of Orange and thus ancestress of the Dutch branch of the House of Nassau that reigns to this day, was born in Stolberg in 1506, but left at the age of 13 to live with her childless uncle in Königstein im Taunus. 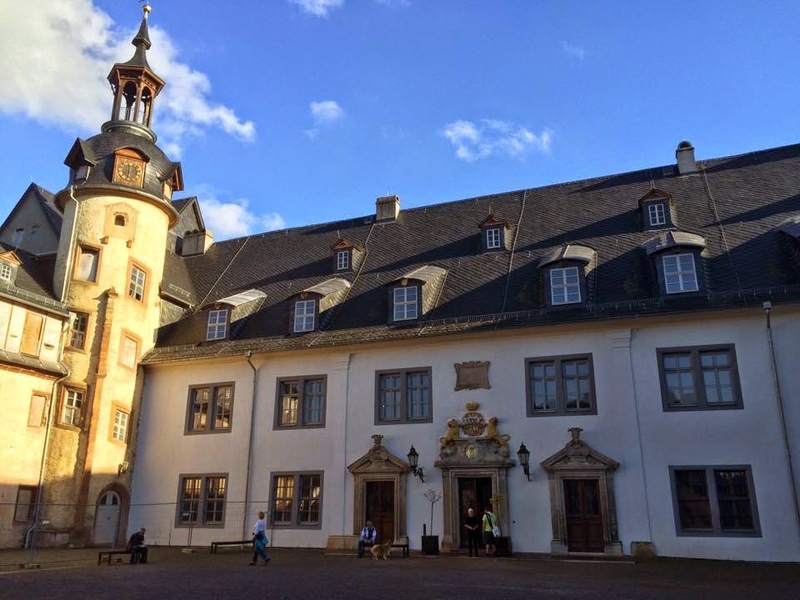 Schloss Stolberg received its current outer appearance through renovation between the years 1690 and 1700 when it was changed into a Baroque-style residence. Between 1700 and 1720, a lot of renovation work, including addition of stories, was carried out particularly on the western and southern wings. However, Stolberg seized to be a residential town as, in the 18th century, as a result of mediatisation, the previously imperially immediate Counts of Stolberg-Stolberg had to subordinate themselves to the Electorate of Saxony. After the end of the Holy Roman Empire in 1806, Stolberg-Stolberg became a part of Prussia. Meanwhile, the construction activity was far from over: The southeastern wing's Classicist Great Reception Room (Großes Empfangszimmer) and Red Room (Roter Saal) were designed by Karl Friedrich Schinkel (1781-1841). And the Stolberg family also received in upgrade in their status a few decades later when, in 1890 and 1893 respectively, Kaiser Wilhelm II allowed the heads and the first-born sons and heirs of the Houses of Stolberg-Wernigerode, Stolberg-Stolberg and Stolberg-Roßla to style themselves with princely titles. When the monarchy in Germany came to its end in 1918, Schloss Stolberg remained in the hands of the Stolberg-Stolberg family. However, the lost the castle after the end of World War II when they were dispossessed by the Soviets and had to flee to the west. Starting in 1947, the castle was used as a holiday home by the Free German Trade Union Federation (FDGB), a time that left heavy marks on the building due to both works carried out to accommodate large numbers of tourists as well as the tourists themselves. With the end of the German Democratic Republic in 1990, ownership of the castle was transferred to the Treuhand, the agency privatising (or alternatively closing) all former East-German enterprises, and it then stood empty. 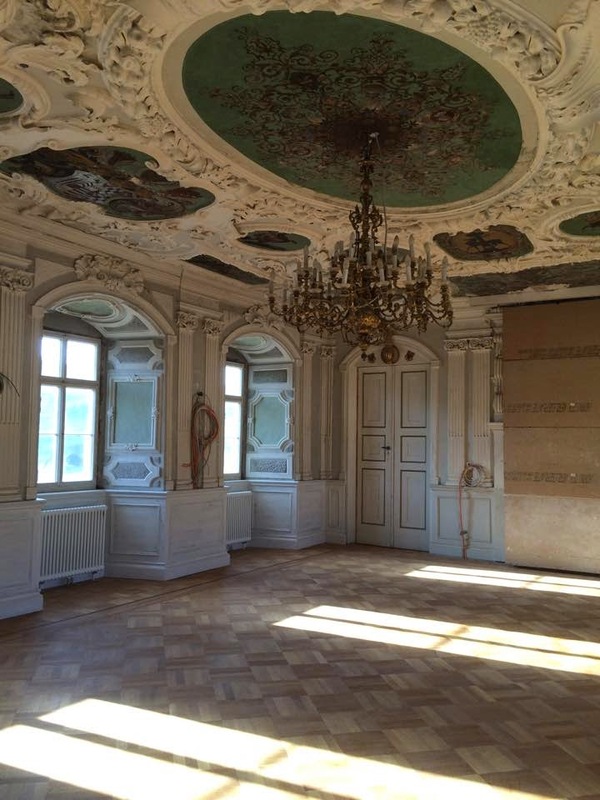 Three years later, a private investor bought the Schloss with the hope to open a hotel there. Already a year later in 1994, the plan had failed and inadequate roof renovation works, which caused damage through damp and dry rot, left the castle in even greater despair. 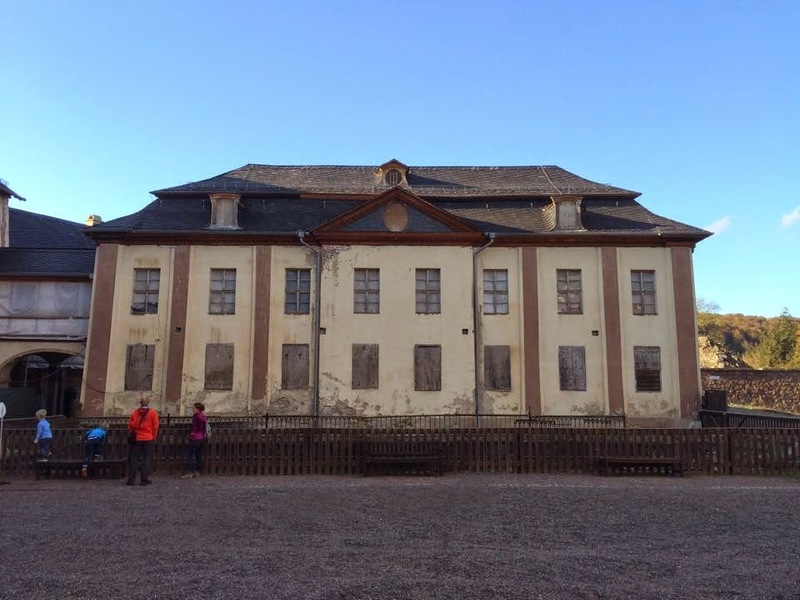 For many years Schloss Stolberg stood empty once again with fears growing that the castle would be completely lost forever as it was falling further and further into ruins. In 2003, the German Foundation for Monument Conservation took over possession of the castle after an agreement with the state of Saxony-Anhalt. 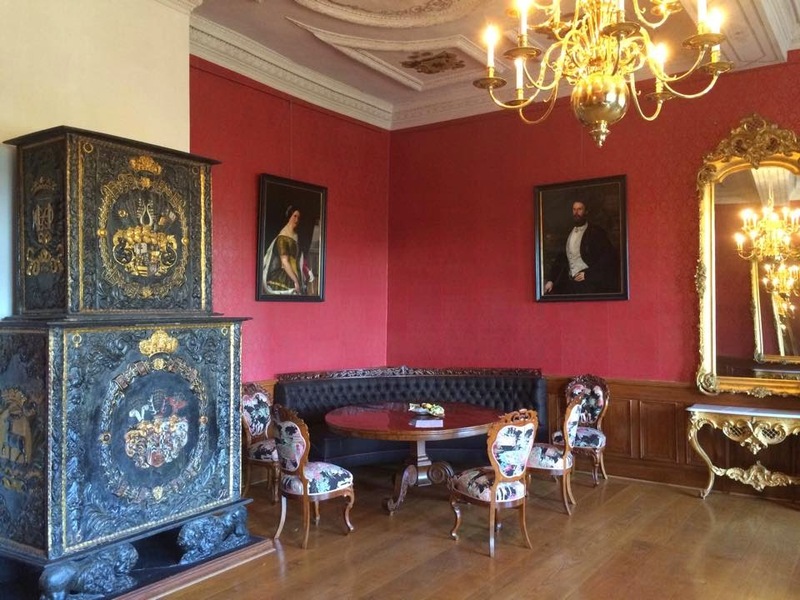 During the following years and thanks to 12 million euros put into it over the next five years, the fabric of the castle was made save and is now gradually being renovated. In 2008, the Fürstenflügel, or prince's wing, was firstly opened to the general public. 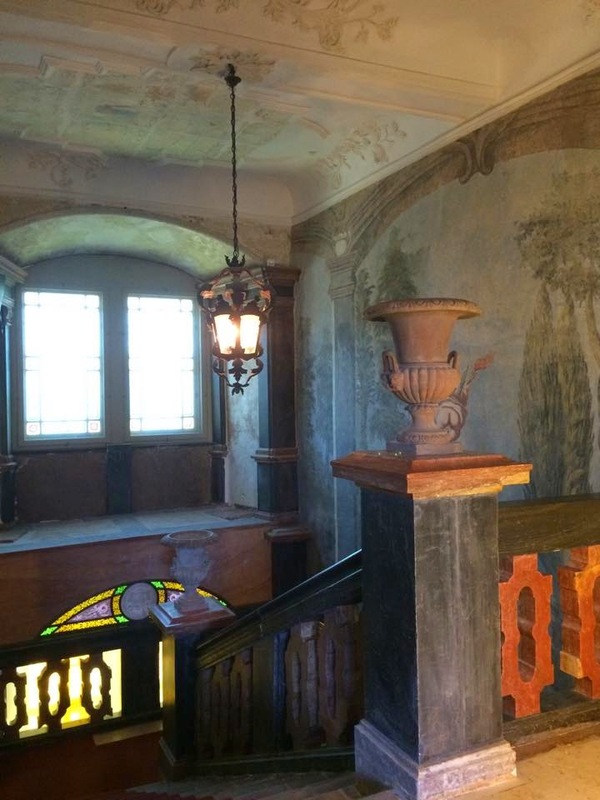 The only part still featuring its original furnishings is the historical stairwell. Tell me, have you ever been to a castle with a similar history, that had almost already been lost but then saved and heavily renovated to bring it back into its old shape? 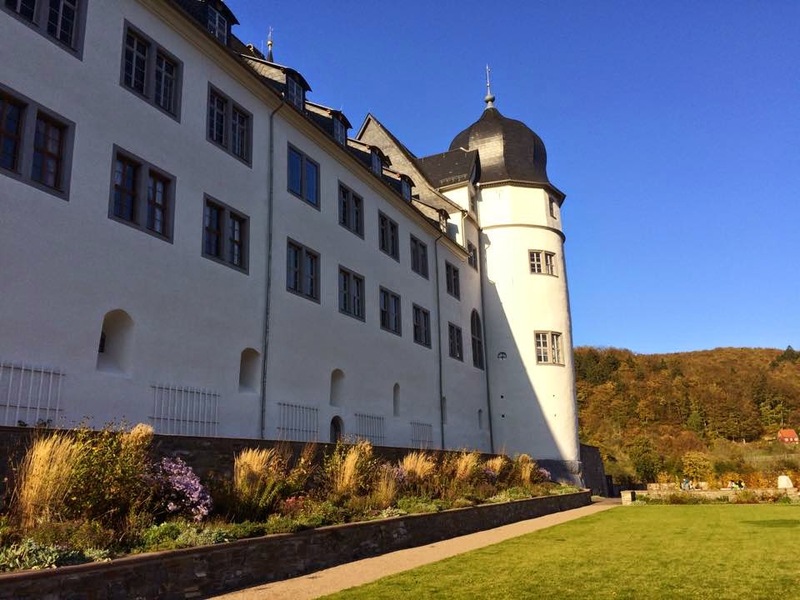 Schloss Stolberg is open Tuesday to Friday between 11am and 4pm as well as Saturdays and Sundays between 11am and 5pm as a museum without guided tours. There is no admission fee but instead they ask for donation for the upkeep of the castle. For more information, have a look here.